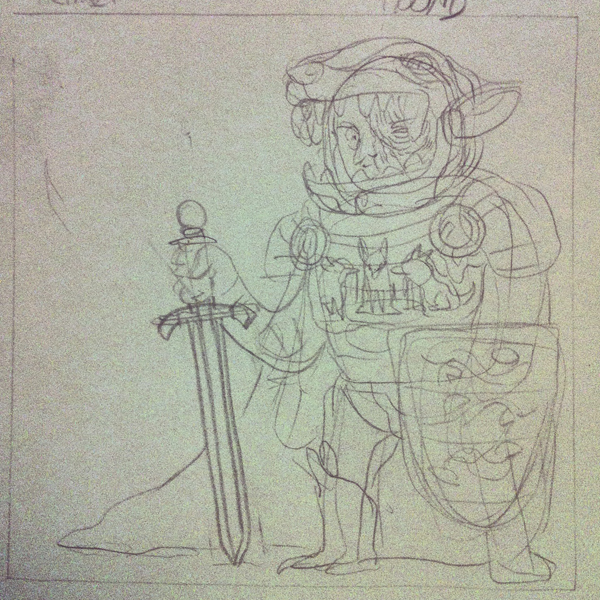 A work in progress commission. My watercolours arrived yesterday, so I can start colouring the commissions I've inked. Thanks to all those who placed an order. There’s some big news to announce for later this month. 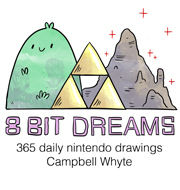 I will be exhibiting my 8 Bit Dreams series of Nintendo themed illustrations at the wonderful exhibition/project space Light Grey Art Lab in Minneapolis. 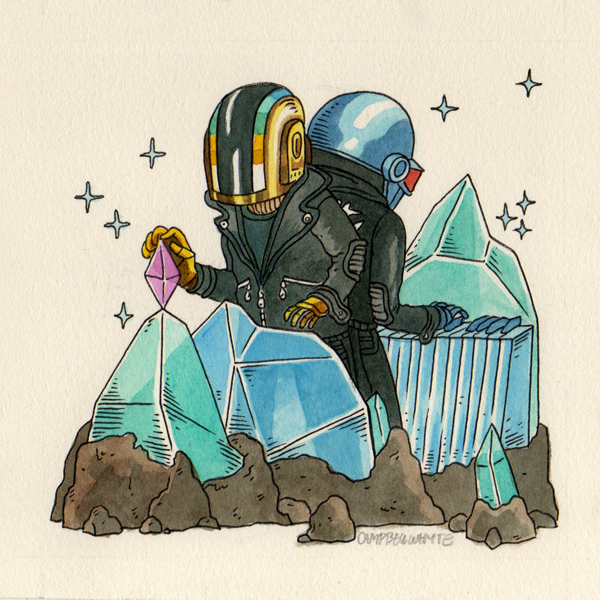 It will be part of a group show called Nights and Weekends that explores the mad world of personal projects. 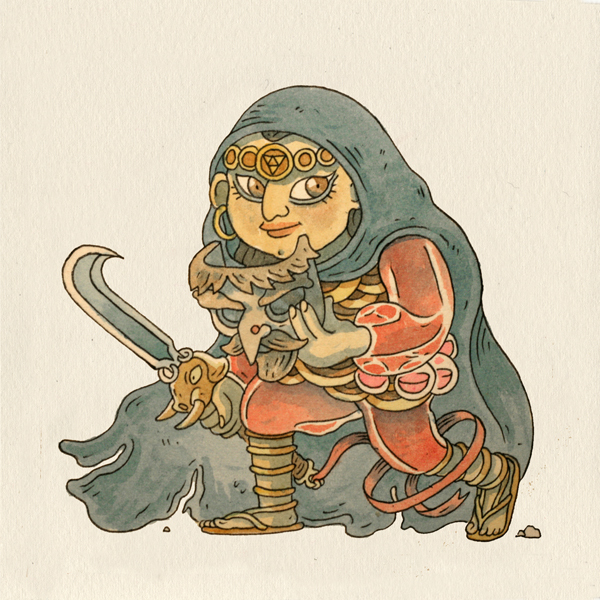 You can preview the works here with a song that always gets in my head by Surashuu. Original works measure 14cm x 14cm and are watercolour and black ink on watercolour paper. They will be available to purchase after the opening. Not only that, on the 21st of September I will be hosting an all night comics jam lock in at the gallery. Staying up late always makes me think of Mario Party / Goldeneye / Perfect Dark marathons back in highschool. You can find out all the details and sign up for the workshop by clicking through here. Bring a friend and double your fun with a killer discount. 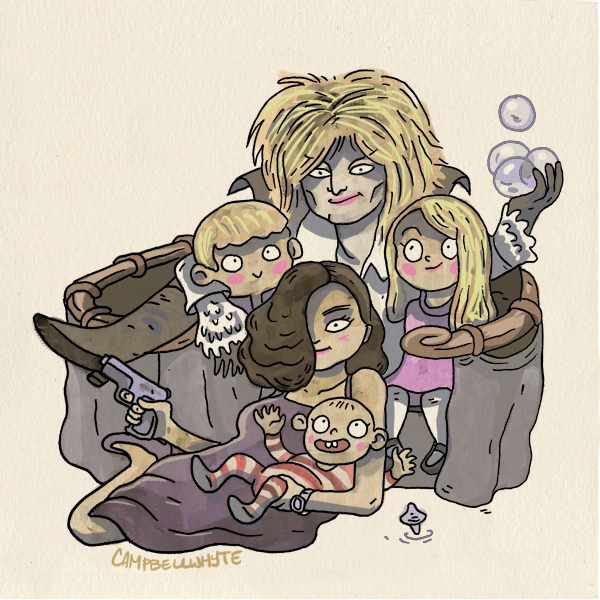 Get ready to make comics, learn all about Campbell’s projects and process and be inspired! 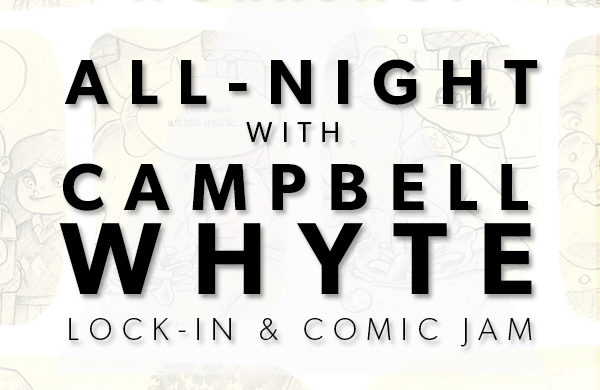 Part workshop and part challenge, All-Night wth Campbell Whyte : Comic Jam will challenge participants to make a complete 8 page mini comic, discuss, and finally print copies of their very own stories! 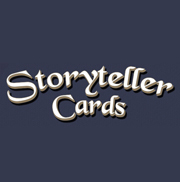 We’ll be making a late-night run to xerox our work, have time to fold & format, and participants will walk away with a big assortment of mini comics made by everyone involved! 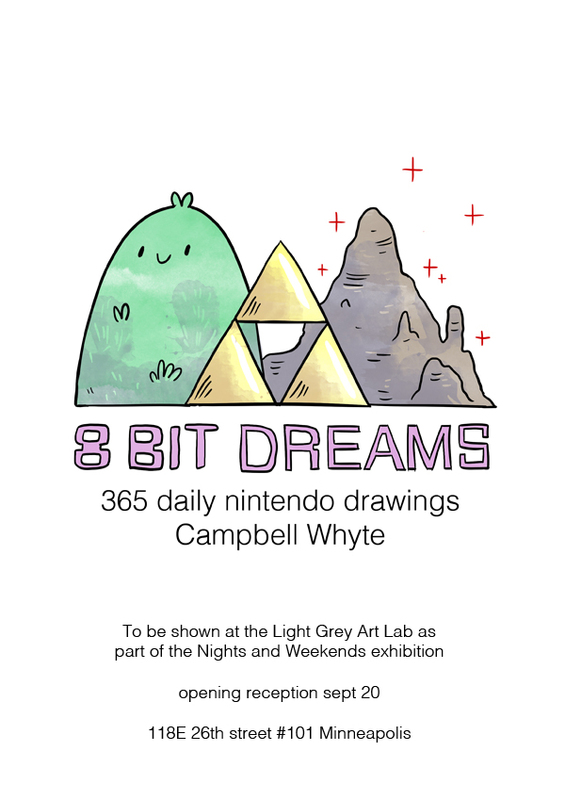 I’m thrilled to announce the exhibiting of my 8 Bit Dreams series of illustrations, to be held at the Light Grey Art lab this September. 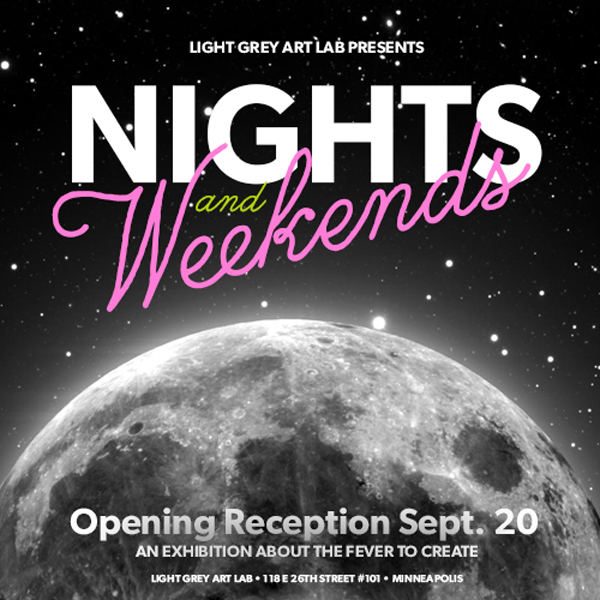 It will be shown along side a fantastic selection of artists who will be displaying their own “off the clock” projects.